An Introduction to Preact: A Smaller React Alternative — Preact is a popular React-compatible alternative focused on being as thin & light as possible. A 5 Part Series on React Internals — An exercise in ‘recreating’ React from the ground up, learning how it works along the way. A good way to get a grasp on how React works. 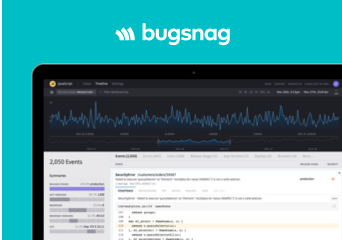 Get Production-Ready Crash Reporting 🚀 — Automatically detect crashes using Bugsnag, and get first-party support for React Native crash reporting. Get alerts when crashes occur, and collect diagnostics to help you reproduce and fix bugs impacting your users. Learn more. Turn React Components Inside Out with Functional Programming — A real-world example of refactoring a React Native component into stateless functional components and higher-order components. When Should You Use Arrow Functions in React? — Avoid performance issues and certain bugs by using them in the right way. Repatch: The Simplified, Less Verbose Redux — A thorough introduction. GitHub repo. The what and why of Redux — Discover what Redux is all about and how you can leverage from it when building your next project. Building a Stack Overflow Clone with Dgraph and React — Dgraph is a fast, distributed graph database system. Using React with TypeScript — A 20 minute practical demo on bringing React and Typescript together. No slides, just code.